Thirsty Pilgrim: OK, One More Thing About Lisbon, You Drunks. I like to think I'm a dude who appreciates the finer things, and too often I don't mind paying for them. Real flavor and character are far more important to me than alcohol, which frankly gets in my way. Aww, but I'm a sucker for cheap novelty booze! In Lisbon, the cheap novelty booze of choice is ginjinha. It's a brandy made with fermented sour cherries. OK, a little googling will tell you they're not really sour cherries, but in fact a suspiciously cherry-like berry called ginja. Nonsense, I say. This is a Prunus of subgenus Cerasus if I've ever seen one. Ahem. Anyway. 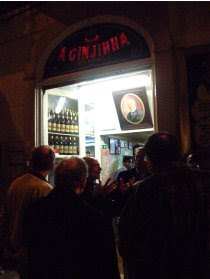 In the center of Lisbon you're bound to walk past a hole in the wall called A Ginjinha. It's not much bigger than a walk-in closet. There, for a measly euro (approximately US$87.52 at today's exchange rate), you can get a plastic cup of this tart and syrupy sweet concoction. Interesting stuff, and an easy pick-me-up if your dogs are tired from touristing. 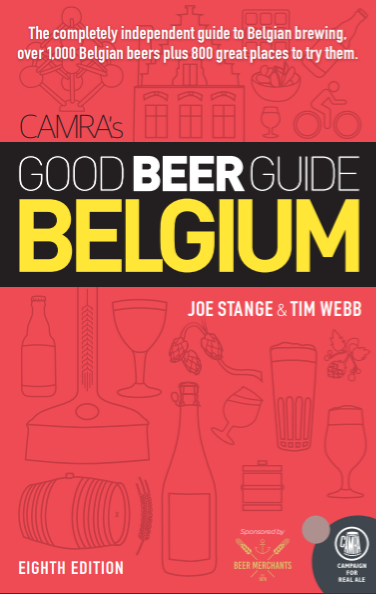 One more thing: Guidebooks will warn you not to eat the liquor-soaked cherries in the bottom of the cup, lest you get sick or hallucinate. More lies! I took that bullet for you with no ill effects. Chomp away and live to tell the tale.